Microsoft says the point of its Games on Demand service for Xbox Live isn't to give gamers the lowest price but to offer them the ultimate in purchasing convenience - and that's why the prices are so damn high. 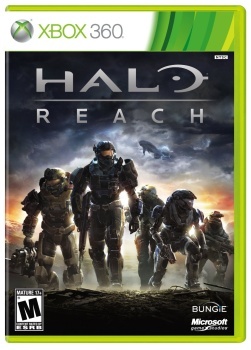 Eyebrows in the U.K. shot up - way, way up - when Halo: Reach turned up on Microsoft's Games on Demand service a few days ago for Â£49.99, which works out to about $81 - roughly double what a new retail copy of the game costs on Amazon. The high price is particularly baffling in light of the fact that nothing is being spent on manufacturing, packaging and distribution costs, but Microsoft says that's not the point - the point is that you can go shopping in your underwear. "No one retailer has the lowest pricing for every product, and our program is about giving people 24/7 convenience and selection when shopping for Xbox 360 games," a rep told Eurogamer. "We're incredibly excited about what Games on Demand means for digital distribution, and will continue to evaluate and evolve the service to meet market and consumer demands." It's not quite so bad in the U.S., where the Games on Demand release lists for $49.99, but it's still a substantial premium for being able to buy a videogame without first having to wipe the nacho cheese off your fingers. I suppose another upside is that you can have the game right now rather than in three or four days or however long it takes the physical copy to work its way through the mail, but that's an awfully high price to pay for not having to get off the couch. I think I'll just keep holding out for Steam sales, thanks.